The next time if you visit the hotel or any shops, do not be surprised if salesman/waiter brings the swiping device and ask you to enter your PIN. According to the RBI recent guidlines, From 1st July 2013 credit card users will have the option to enter the PIN number as an aditional security at all the merchant outlets. This is a good step taken by the RBI for securing the card transactions due to rising cyber frauds. Punching the PIN will be an option for the card users,If user first time entered the PIN for the swipe then from the next time it will be mandatory to use the PIN for the transaction. Also all Banks will have to replace the existing magnetic stripe to chip based for all the customers who had used their card outside of India at least once. 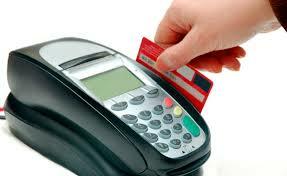 This step is taken to reduce the cloning of card that is happening in abroad like- in southeast asian contries. Few major banks like- HSBC have already communicated to their customers that from 30th June 2013, It would be mandatory to punch their six digit debit card PIN for all the swiping transactions.